“I Welcome.” Think about that phrase for a second. It’s really the perfect thing to ponder this holiday season. How do we welcome? Who? Why? And who isn’t welcomed? Why? “I Welcome” refers to the global campaign from Amnesty International that focuses on the rights of refugees and asylum seekers. Now, more than ever, this campaign is crucial in the United States. I’m incredibly fortunate. The Legislative Coordinators with whom I work are an amazing group of people who work to connect AIUSA’s grassroots membership with state and federal policymakers to advance policy protecting human rights. We essentially train people interested in “lobbying” for human rights. We then connect them to issues from AIUSA. They then meet with their Members of Congress to, in turn, connect them to these AIUSA vetted issues. We are currently lobbying our Members of Congress (MOCs) about the Refugee Protection Act of 2016- crucial and incredibly timely legislation by Vermont Senator Patrick Leahy (S. 3241) and California Representative Zoe Lofgren (H.R. 5851). As incoming US leaders give voice to sending some refugees and asylum seekers out of the country while also threatening to prevent others from even coming in, the Refugee Protection Act of 2016 enhances protections for these vulnerable populations. 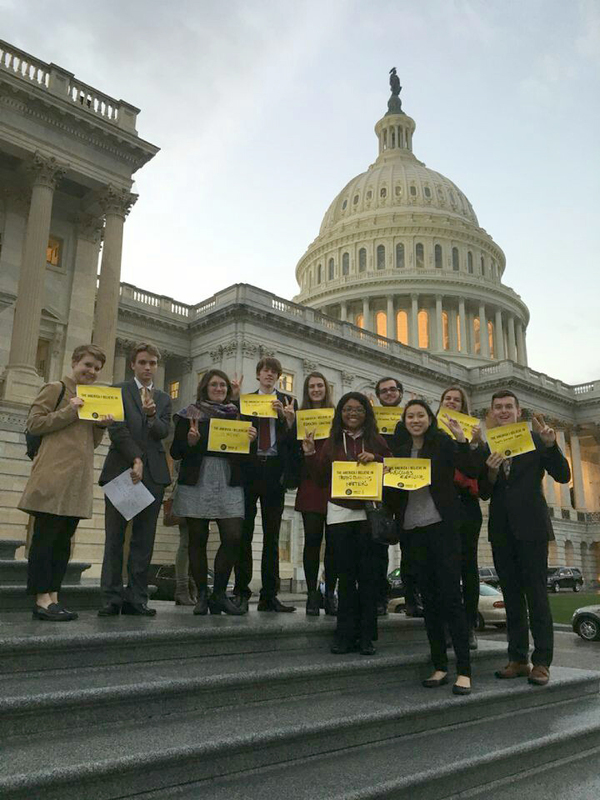 Amnesty International USA members are active in working toward legislative change. Over 200 groups and member leaders from 27 states have signed up to lobby their Members of Congress in their home districts/states to urge them to co-sponsor the Refugee Protection Act of 2016. 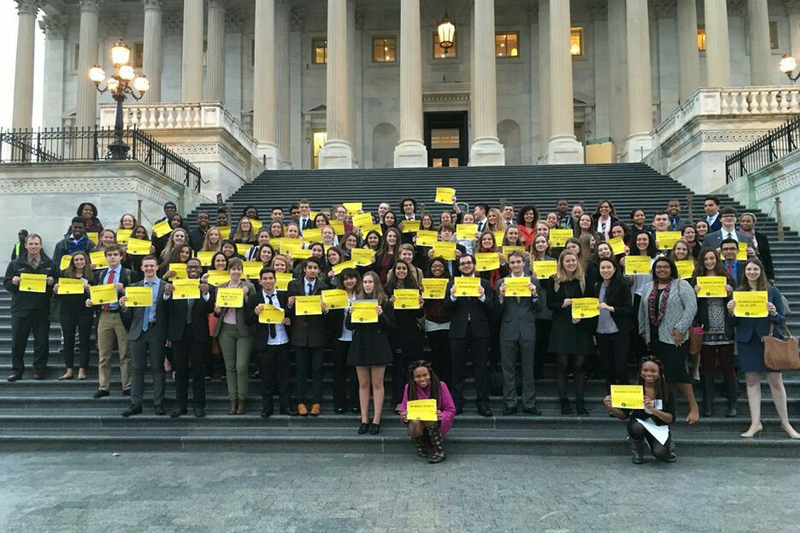 Sam Steed, a tireless LC from Virginia, in a National Day of Legislative Action (his creation) recently got 82 activists – a combination of high school and college students from Virginia, Maryland and Massachusetts – to go to 50 meetings on Capitol Hill advocating for the act. What’s more, Sam spearheaded that effort alone. In person lobbying isn’t the only means of creating change. A great example of a different action is happening right now in Burlington, Vermont. Our AIUSA membership has been working to pass a “Syrian Refugees Welcome” resolution (found in the “I Welcome” toolkit at AmnestyUSA.org) in the city council. This is local legislation that will proudly declare that Burlington, Vermont’s largest city, will not participate in hate or fear and will welcome Syrian refugees into our community-openly and compassionately. The Area Coordinator for Vermont, Carolyn Smiles, and I started this process last February. We held a public Q & A/Forum led by a professional facilitator in preparation for the introduction of the resolution. Finally, on Monday, 11/28/2016, we will hold a vigil and then go to the town council to bear witness to the resolution passing. Over 200 people are committed to attending. This entry was posted in Refugee and Migrant Rights, USA by Guest Writer. Bookmark the permalink. I like this organization and I am happy that the goals are met. We had an outreach at my church and asked that they participate in a "call in day" for S. 3241 and H.R. 5851. Those refugees will become the fathers of the new generation. Unlike the western pussyfied men who were raised to be soft feminists, those refugees will dominate their household and raise their children the way they want. Wow. Way to take something positive and make it something hateful, ignorant and misogynistic. I guess you think refugees beat the wives and kids for getting out of line just like you do, huh? After earning my postgraduate certificate in education, the teaching qualification for schoolteachers in England and Wales, I completed a part-time MA in German by research and dissertation, followed by a part-time MEd in comparative education by thesis a long essay in UK parlance, all done outside school hours and paid for out of my own pocket. I later completed a part-time Advanced Degree in Special Needs in Education when I moved from foreign languages to special educational needs http://www.essaybliss.co.uk/. I subsequently presented papers at conferences in Hungary, Canada, and Japan, combining my love of study with my love of travel. 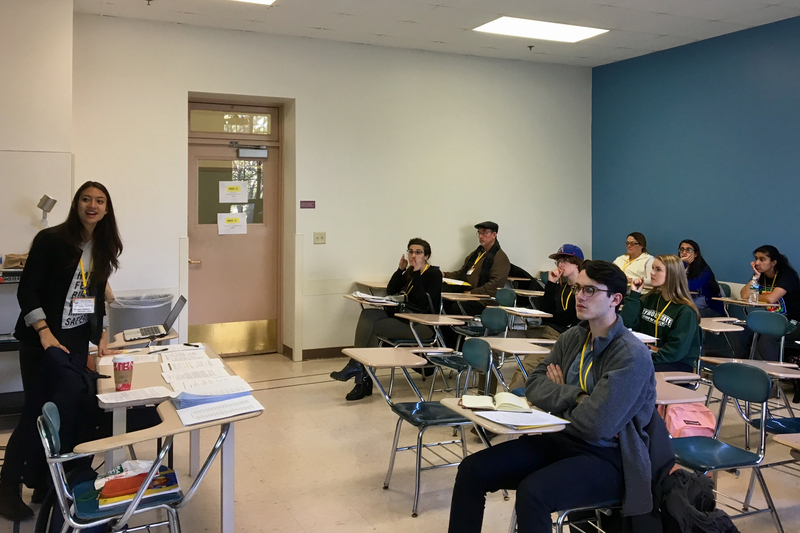 Later I conducted teacher workshops on foreign languages and special needs in universities and schools and wrote articles which were published in foreign language and special needs journals. So I have been both a recipient and a provider of teacher education. Being a lifelong learner helped me to understand better the problems experienced by school students. This is great information for students. This article is very helpful i really like this blog thanks. I also have some information programming assignments help relevant for online dissertation help. Get the dissertation writing service students social media campaigns in pakistan look for these days with the prime focus being creating a well researched and lively content on any topic. 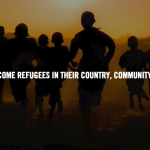 Very well written article about refugees, you have picked up a great topic to write. I have learn a lot from your article which will help me a lot. I expect more similar articles from you in future. I see in the post some refugees living for here. In the all refugees interested and join for the some workshop. I am very happy to read the whole article. I really like to it for here. Thanks for sharing your knowledge on this particular aspect and making it easier for piercecollegefootball.com . I also know about what your experience after this post. We will be linking to this particularly great content on our catholicepaper.org because your topic is very informative for the public. Keep up the great writing. Hi buddy, your blog' s design is simple and Finance Homework Help clean and i like it. Your blog posts about Online Dissertation Help are superb. Please keep them coming. Greets!! If you are overcome with grief, let Dr. Turndorf guide you to reconnect with your loved one in spirit, which is the only way to transform your grief to joy. Dr. Turndorf is the author of the no. 1 international bestselling, Love Never Dies: How to Reconnect and Make Peace with the Deceased(translated into 34 languages) which introduces her groundbreaking Trans-Dimensional Grief Resolution Method.